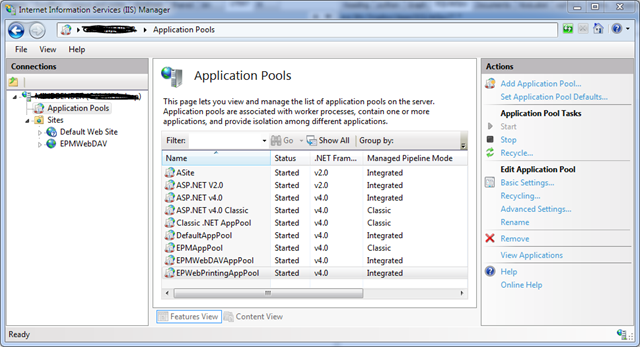 Home › NiceLabel Portal › How can I fix the “The ‘Microsoft.Jet.OLEDB.4.0’ provider is not registered on the local machine.” error in NiceLabel Portal? How can I fix the “The ‘Microsoft.Jet.OLEDB.4.0’ provider is not registered on the local machine.” error in NiceLabel Portal? Usually you get this error when you try to use Microsoft Excel file in NiceLabel Portal solution – in a form or in a label file when NiceLabel Portal is installed on a 64-bit operating system. Although I would not suggest using Excel files as a database for anything else but a demo, you can get around this particular problem. 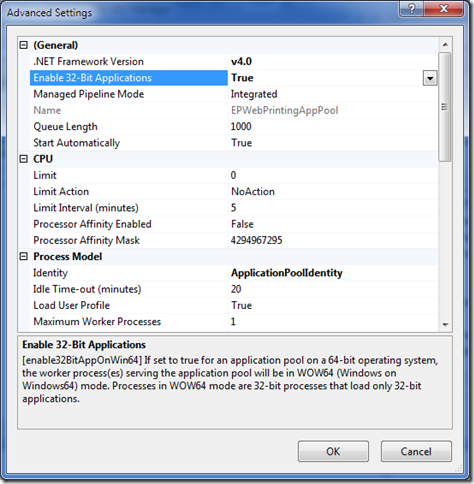 What you have to do is to set “Enable 32-Bit Applications” property of the “EPWebPrintingAppPool” application pool in IIS (Internet Information Services) to “True”. 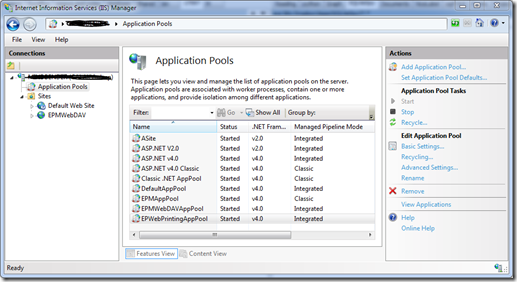 In IIS 7 you have to open the list of Application Pools, right click the selected application pool and select “Advanced Settings” in the pop up menu. 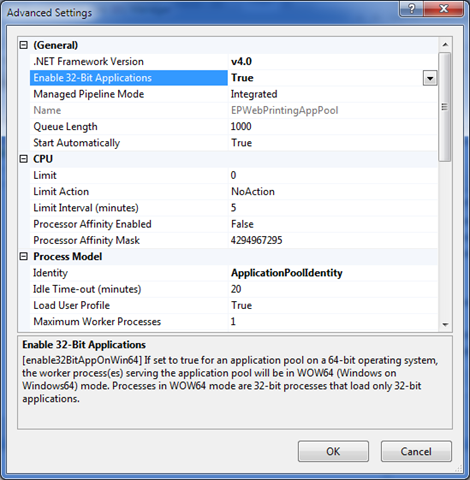 When “Advanced Settings” dialog box is shown change the “Enable 32-Bit Applications” property to “True”. Now all you have to do is reload your solution file in the browser. ‹ How can I select label print quantity from database in NiceLabel?